It is not every day that a film about administrative justice wins a BAFTA. 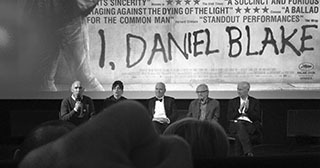 Ken Loach's success with I, Daniel Blake, a film in part about the protagonist's tragic encounters with the welfare-benefits system, breaks the mould. It is clear enough, however, that Daniel Blake's manifesto is far from merely a cry for better ‘customer care’ that has arguably been the focus of much bureaucratic interaction. On the contrary, it should be read as a sustained plea for a re-imagined sense of ‘citizenship’, civic pride and dignity. If the high watermark of administrative justice as a system was the UK government's White Paper, 'Transforming Public Services: Complaints, Redress and Tribunals', published in 2004, and the subsequent establishment of a new integrated Administrative Justice and Tribunals Council (AJTC) in 2007, the swift abolition of the AJTC by the coalition government in 2012 signalled its rapid demise. Yet UKAJI's funding by Nuffield and has now ceased and its home within Essex University is secured only until later this year. .